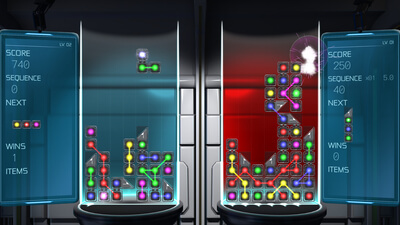 Colored blocks fall, and they keep falling. You rotate them, and drop them. Faster and faster you align the pieces, creating links of matching color, filling in gaps. You touch a block with a detonator and the entire chain explodes. The blocks above them drop, another detonator touches, and another chain is gone. Then another. 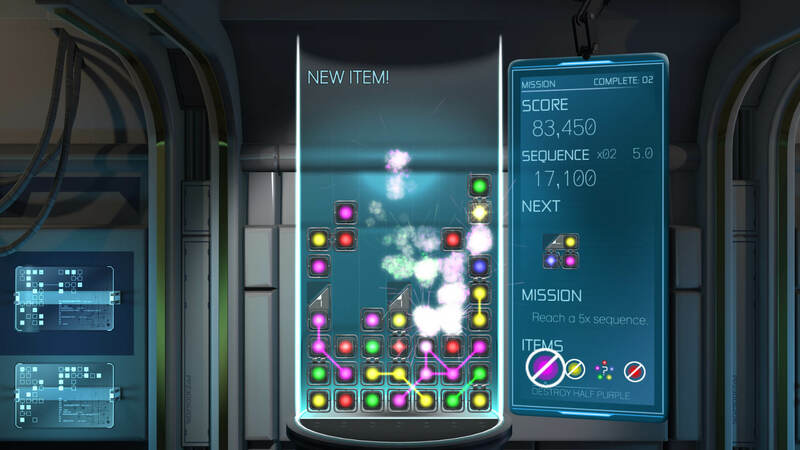 Anode reintroduces the classic falling-block puzzle genre, with new twists and challenges! Link blocks back and forth across each other. Match angled couplers to create chains of multiple colors. Earn items and use them to clear your bin. 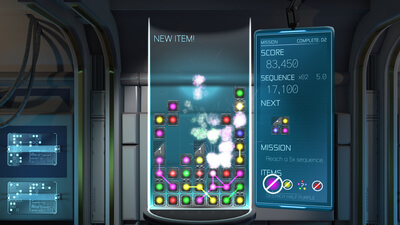 Play Mission Mode and complete randomly-generated objectives for additional challenge. Post your scores on leaderboards and see how you stack up. 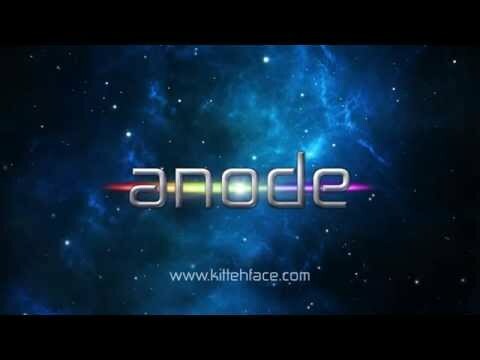 Anode is a highly replayable falling block puzzler whose only major flaw comes in its indifference toward advancing the genre in any way. It's a mostly been-there-done-that offering that manages to change up just enough to merit playing alongside similar titles. The limited but excellent soundtrack and local competitive modes make the overall package well worth playing if you're a fan of this type of game. Just don't expect anything groundbreaking -- pun intended, again.